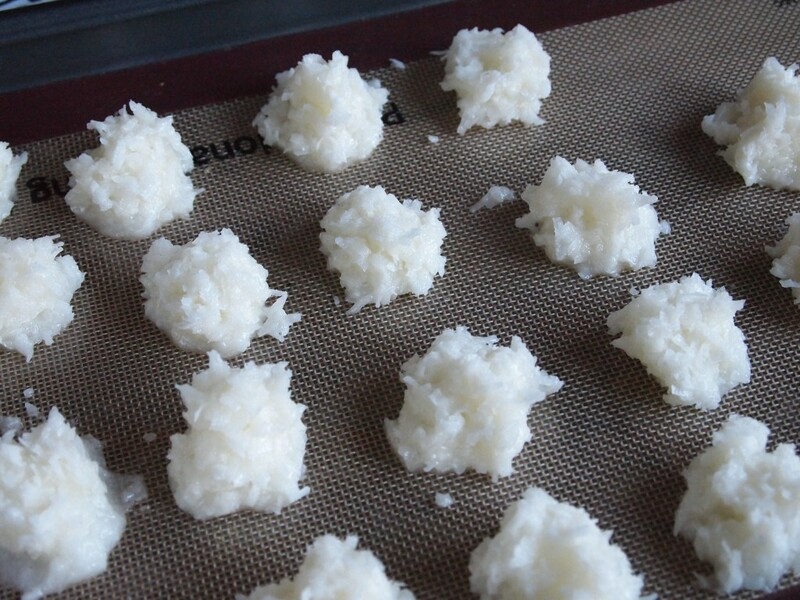 Coconut macaroons, called cocadas in Peru, are one of the favorite sweets along the coast of our country. Like alfajores, cocadas are enjoyed at any time of the day and in any occasion. There are many varieties of cocadas, from big ones, to tiny ones, and sometimes they are filled with manjarblanco (Peruvian dulce de leche), like a sandwich. In the spirit of the holidays, and of all the excess appetite that comes with it, we filled ours not only with manjarblanco but also with Nutella, and we even added leftover cocada crumbs to the morning granola to give it a delicious coconut taste. 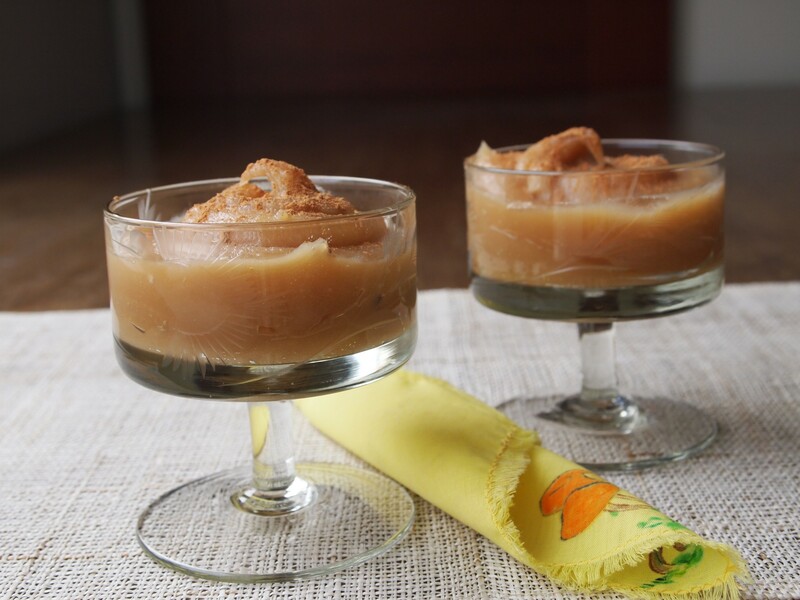 This sweet is popular since colonial times, and it’s still prepared in many homes, probably because it’s so easy to make. 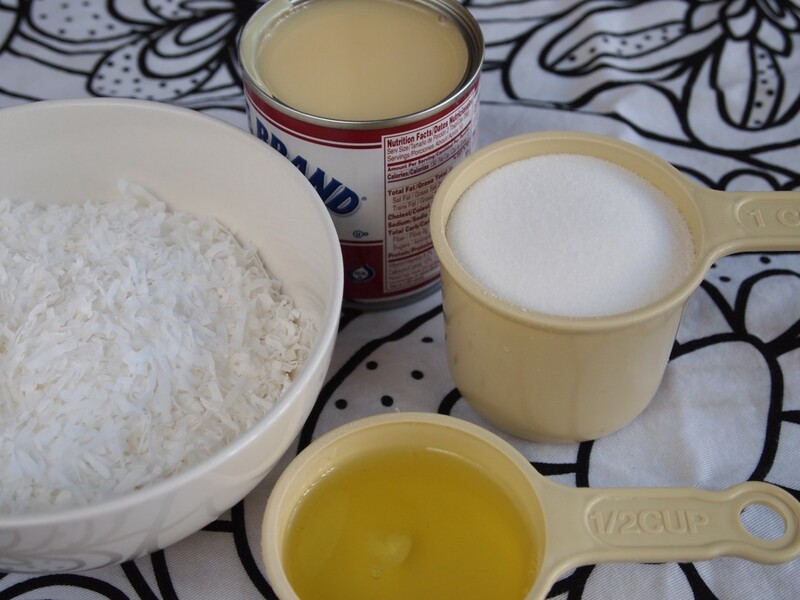 Some people add egg yolks and milk, or molasses, and prepare it in a baking pan (like a cake), cutting each cocada with a knife, in diamond shapes. This was actually the traditional way of making them. Another way of preparing cocadas is the way we made them this time: baking them in a baking tin covered in parchment or silpat. We love this style because the resulting cocadas are crunchy on the outside, and chewy on the inside. 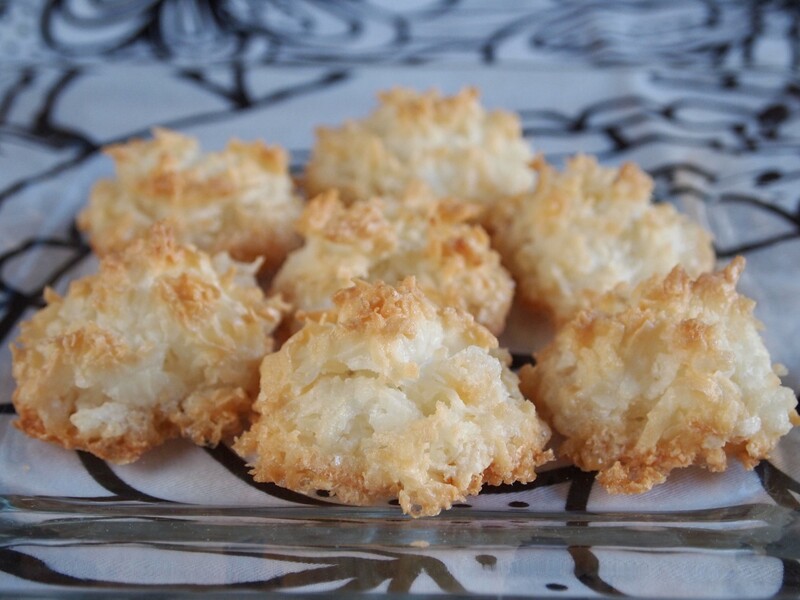 Don’t mistake these macaroons with another dessert that is also called cocada, but is prepared in a pyrex and served in slices. And also keep in mind that if you want to make the Peruvian version of these sweets, color shouldn’t be added to them. In other countries, cocadas -which are also called cajetas de coco in some places-, are not only white, but also pink and light blue. Not in Peru. We only eat them white, like fluffy Christmas snowflakes. 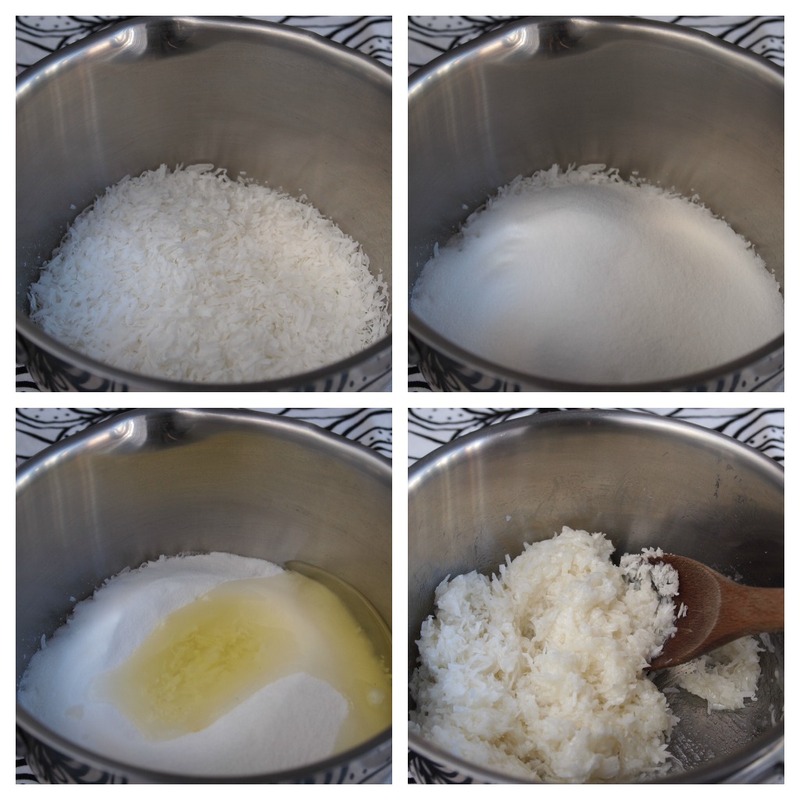 Combine dried coconut, sugar and egg whites in a small saucepan and cook over low heat, stirring for 7 minutes. Preheat the oven to 350°F. Using a spoon form small balls (about one tablespoon each), and place on a greased 15 x 10 inch baking sheet. Bake for 15 - 20 minutes or until lightly golden. Take out of the oven and cool on cooling racks. 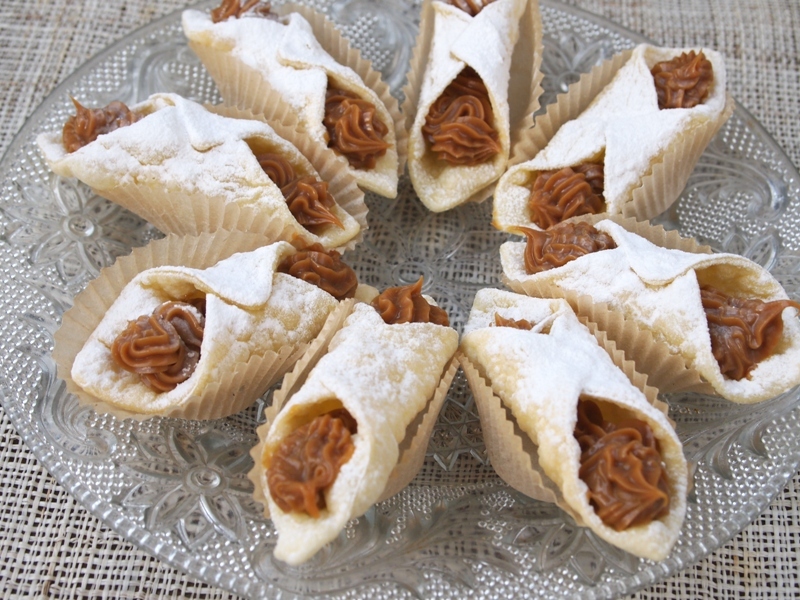 Fill them with manjarblanco, dulce de leche, fudge or Nutella (optional). 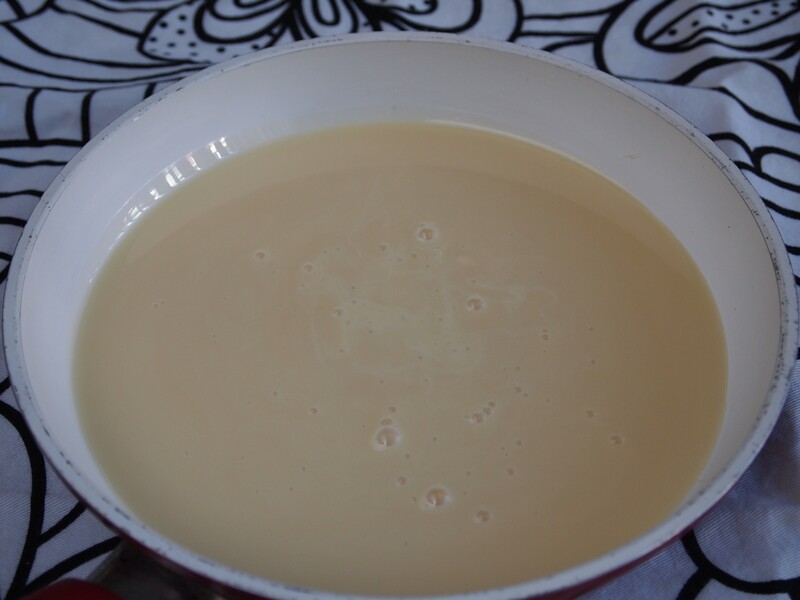 While the macaroons are in the oven, cook the condensed milk in a small pan over medium heat for about 15 minutes, stirring constantly. Don't let it brown too much or become too hard. Estos macarrones se ven deliciosooossss, q antojo!!!! What a great idea! 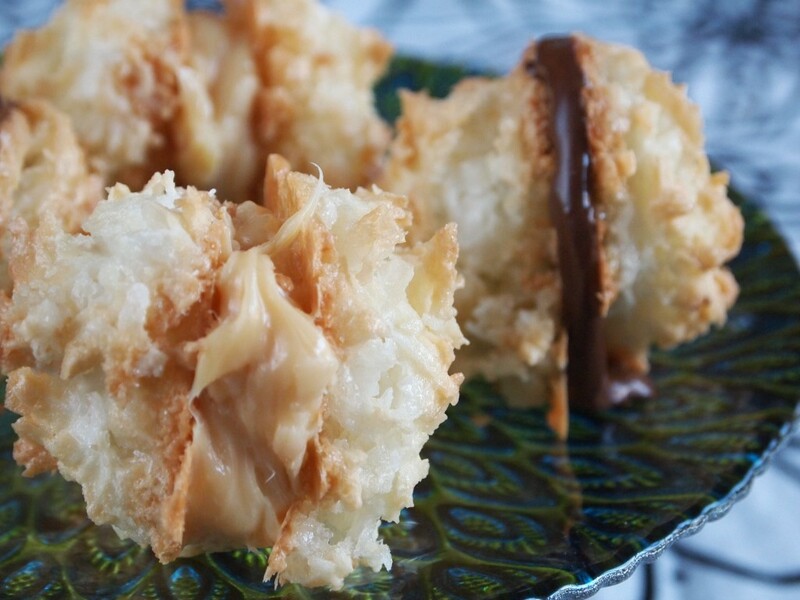 I love coconut macaroons and who doesn’t love dulce le leche and nutella? Perfect recipe! these are one of my absolutely favorite desserts. i tend to go overboard with them. sooo good. I was first hooked while on a trip to Trinidad. Great recipe. Making soon!